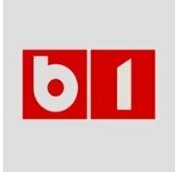 News TV Channel / B1 TV is a Romanian TV network which began its broadcast in 2001 as a general-profile channel and became a news television in 2011. B1 TV broadcasts 24 hours a day, 7 days a week all over the country. B1 TV’s main purpose is to inform its viewers about the overall context of the Romanian society through quality informative programs. B1 TV also covers the most important events that are happening every day in the world. B1 TV’s target audience consists of active highly educated and financially stable individuals, who mainly live in the city, are concerned about what is happening around them and are looking for quality products. B1 TV is now broadcast via satellite through all analog and digital cable networks and has a 92% geographical covering.